Infinite Hospice Care in Encino, CA is there to support you and your loved ones during one of the most difficult situations imaginable. At Infinite Hospice Care, the emphasis is on comfort and quality of life. Our services allow your loved ones to live each day to the fullest as comfortably and dignified as possible. No one should ever be alone when they are sick. When you need care, we are here to provide it. 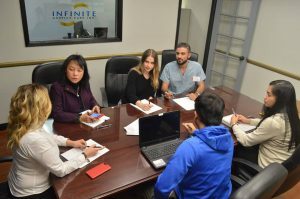 Infinite Hospice Care was founded in 2012 by a former hospice nurse, who saw the need of having an establishment that will open its doors to terminally ill patients and their families. People with life-limiting diseases need strong and professional nurses, who will walk hand in hand with them through this hard time. We understand how heartbreaking it is to watch your loved one go through this tough time. So, Infinite Hospice Care has come to make life a little easier for those who are having it hard enough. Our goal is not only to give our patients the best life possible, but to reshape the way patients and their families receive hospice care services. With Infinite hospice care, we do the right things for the right reasons. This is why our patients live better, knowing that their lives matter. Needless to say, getting the best hospice care in Encino is about finding the right level of care for you, and most often working with a care provider who is capable of handling a variety of different types of care without breaking a sweat. Our gentle and caring employees are professionally trained to handle physiological and emotional support in these tough times. Hospice care in Encino is always by your side, ready to assist all your needs. Infinite Hospice Care provides emotional, spiritual and clinical support towards the end of life. We are there to support the entire family. Hospice care can provide quality of life and dignity at home when there is a life-limiting illness. Each moment is precious and our hospice care in Encino wants to make sure you live your life to the fullest. 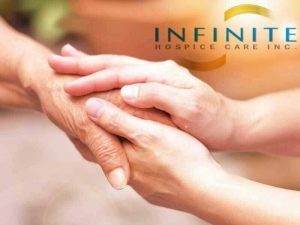 We assure you that the experts at Infinite Hospice Care are committed to providing you and your loved ones the utmost care in their time of need. And, for our patients experiencing critical conditions like bleeding, seizures, and difficulty breathing (among other conditions), we offer home health care in Encino. At Infinite Hospice care, we are aware of how expensive it is dealing with various types of treatments and hospital visits. As such, we provide affordable services while still maintaining the highest quality standards.